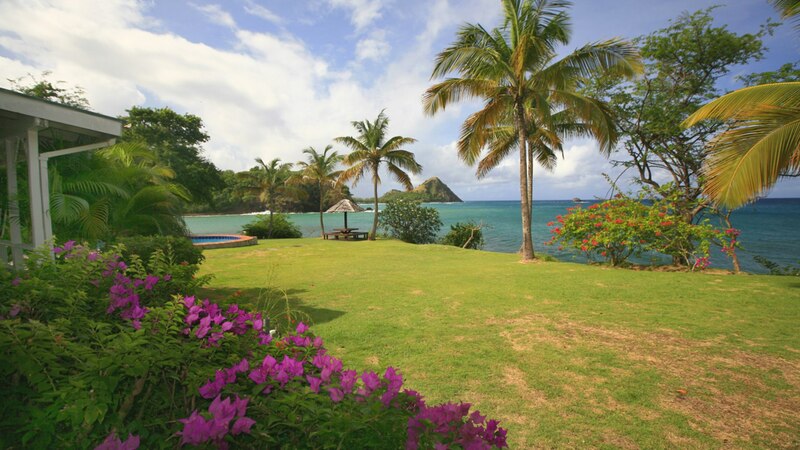 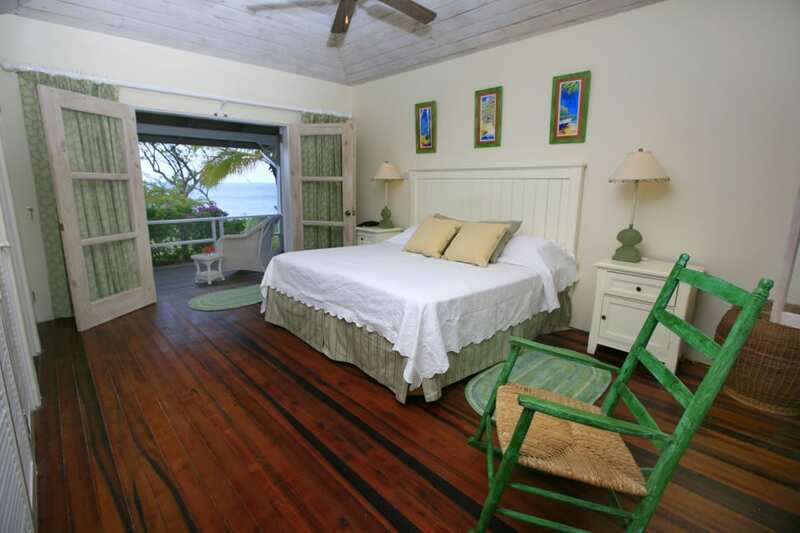 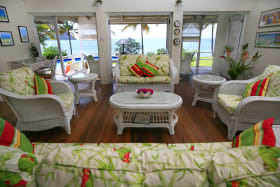 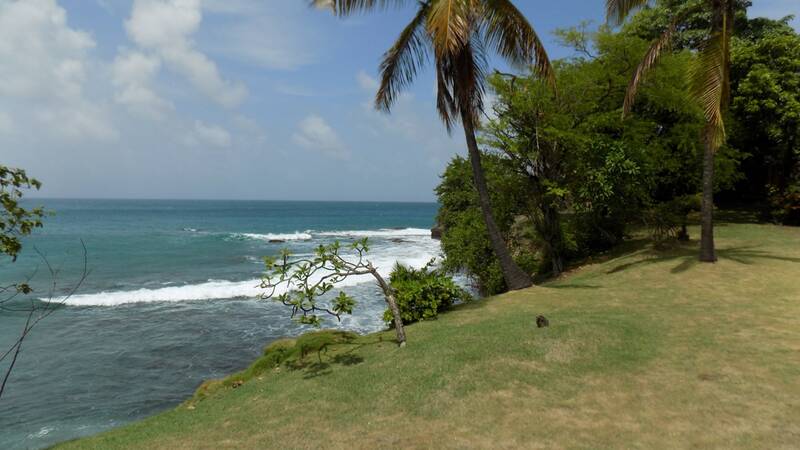 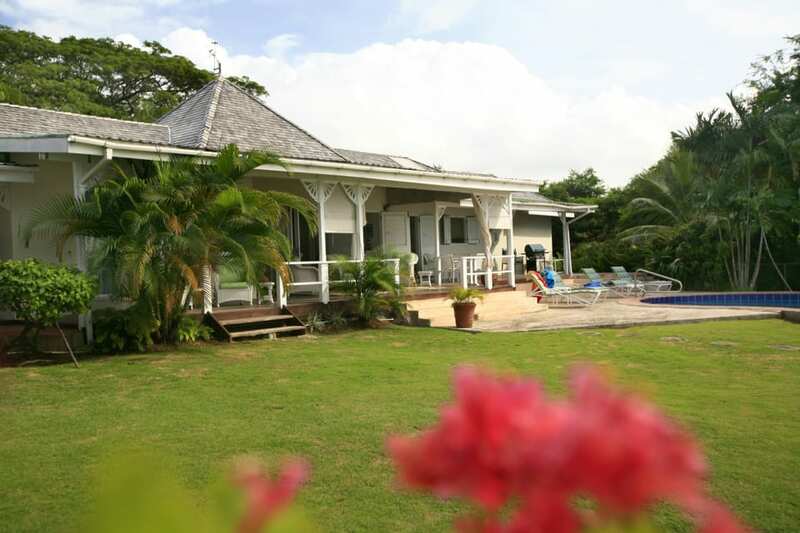 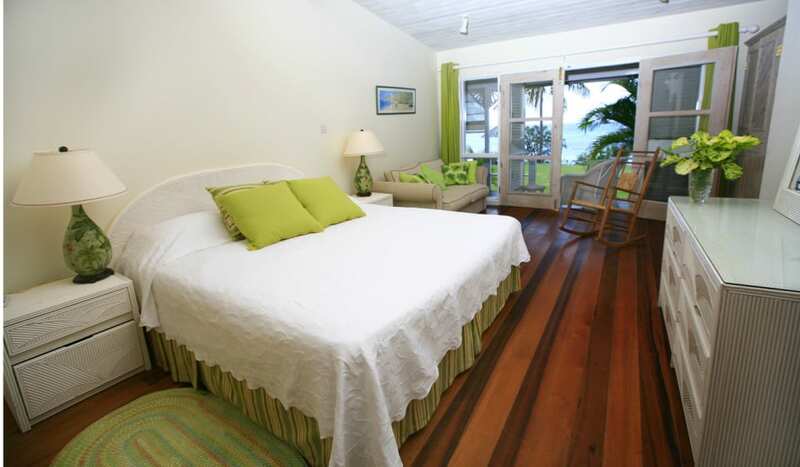 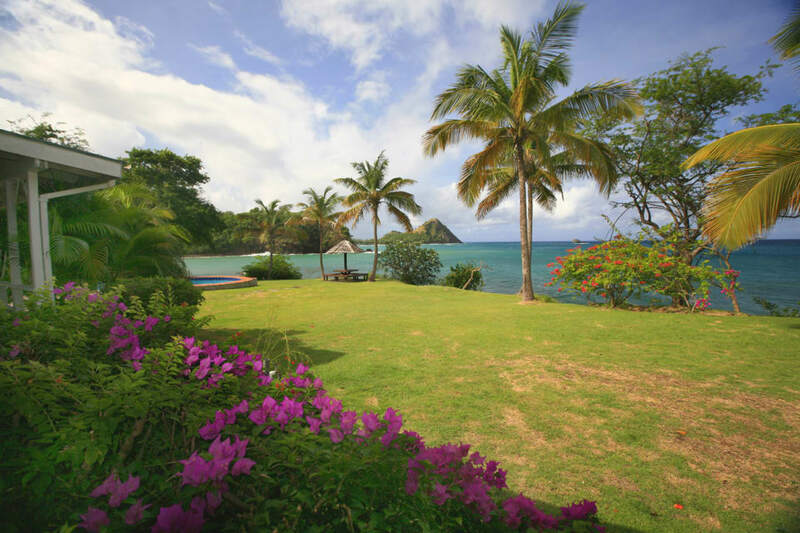 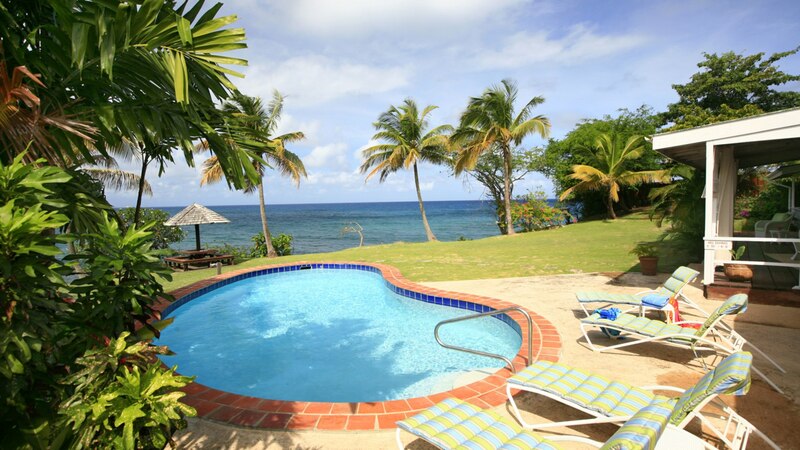 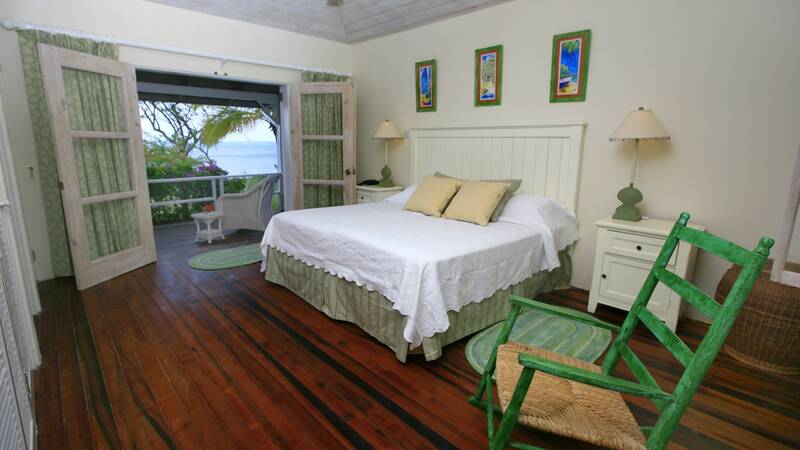 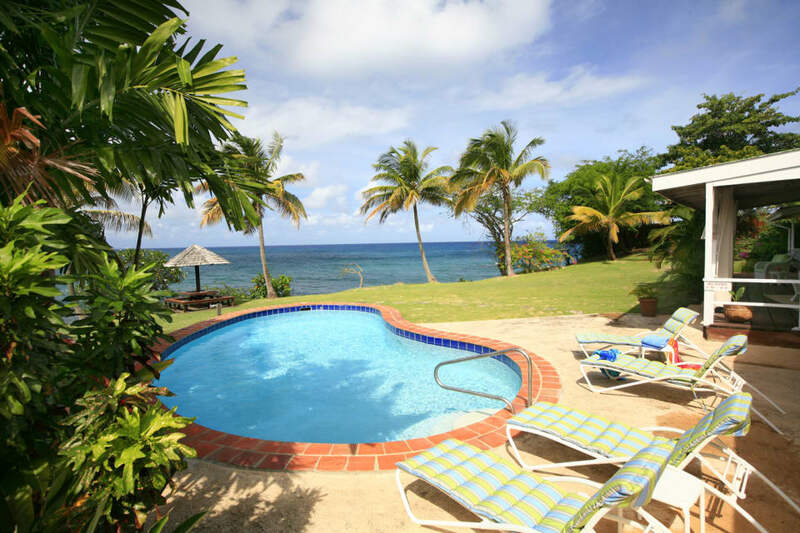 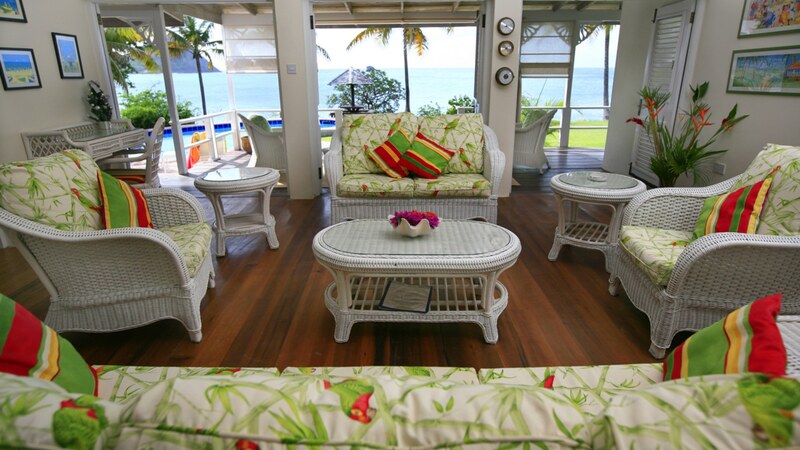 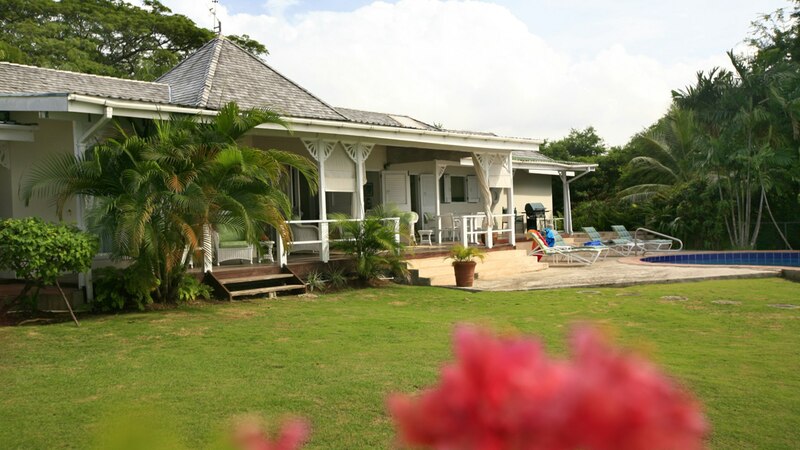 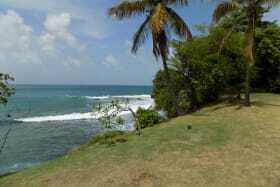 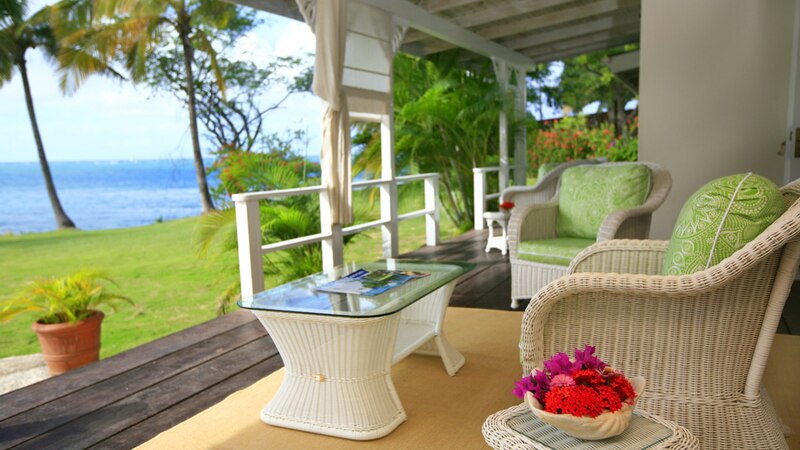 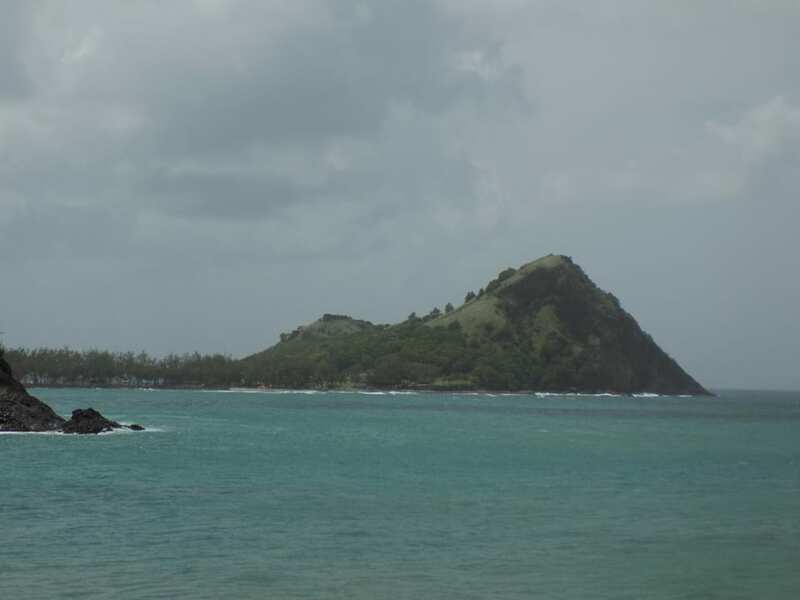 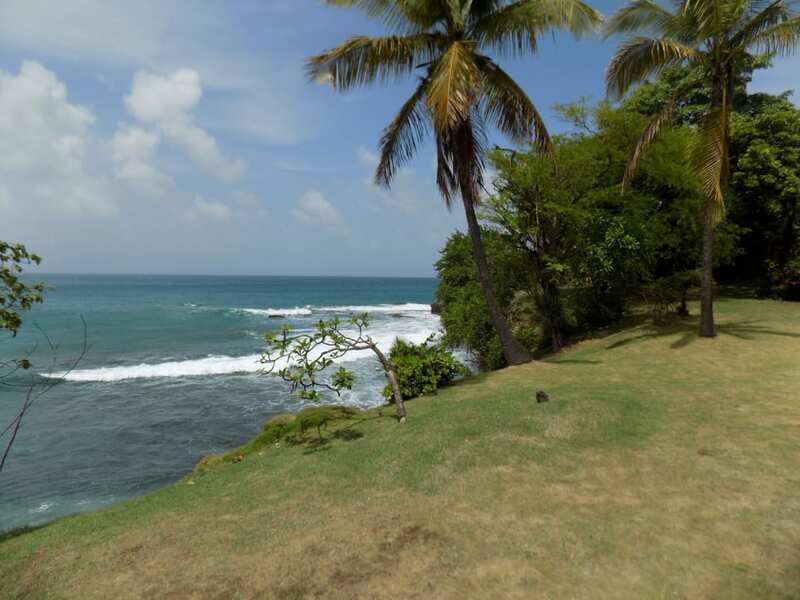 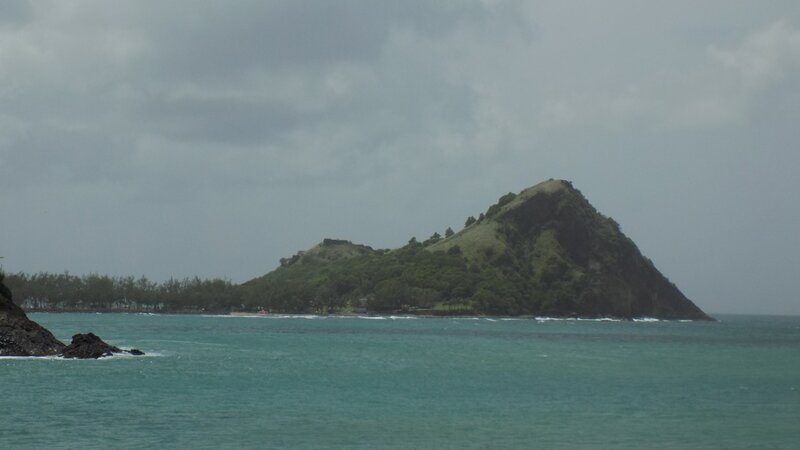 Sea Pearl is a tropical hideaway, within a few minutes’ walk of secluded Smuggler’s Cove beach. 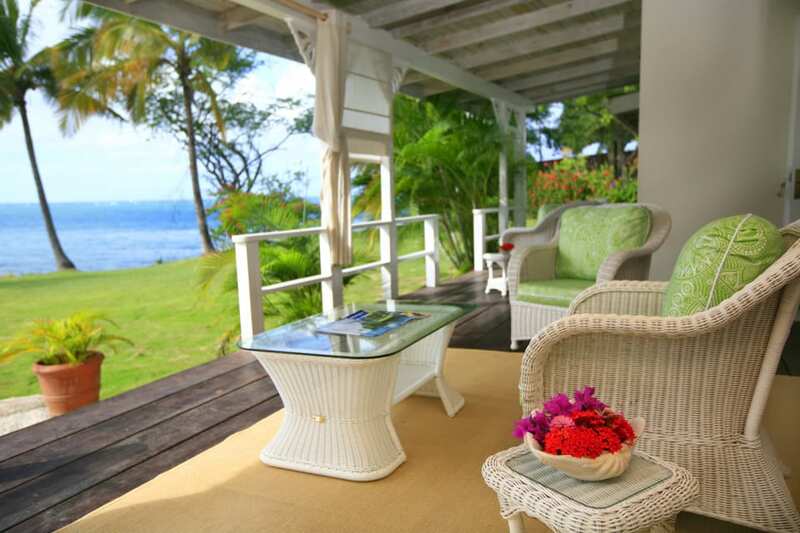 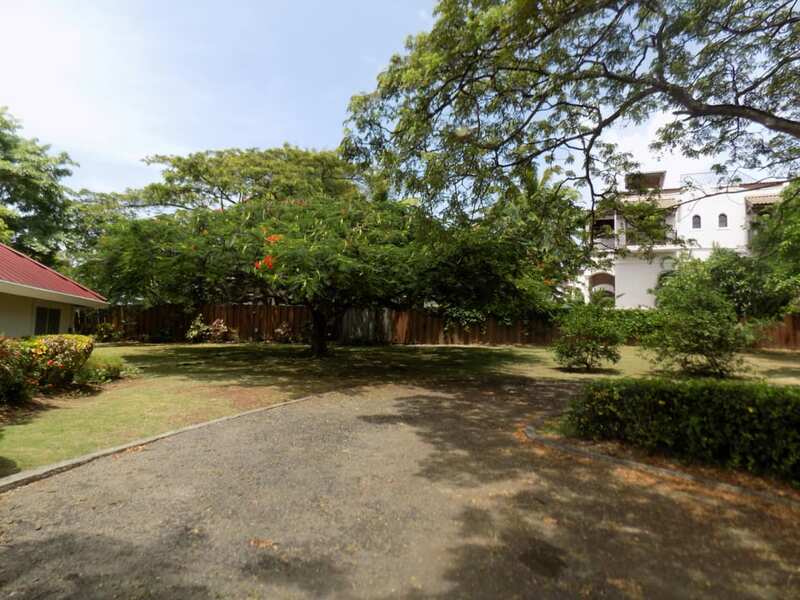 Situated on a landscaped garden on a low cliff; it enjoys clear sea and sunset views. 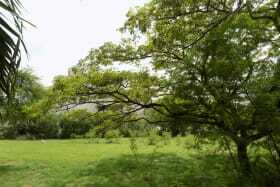 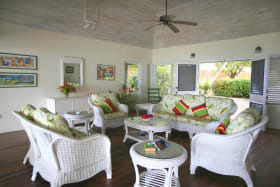 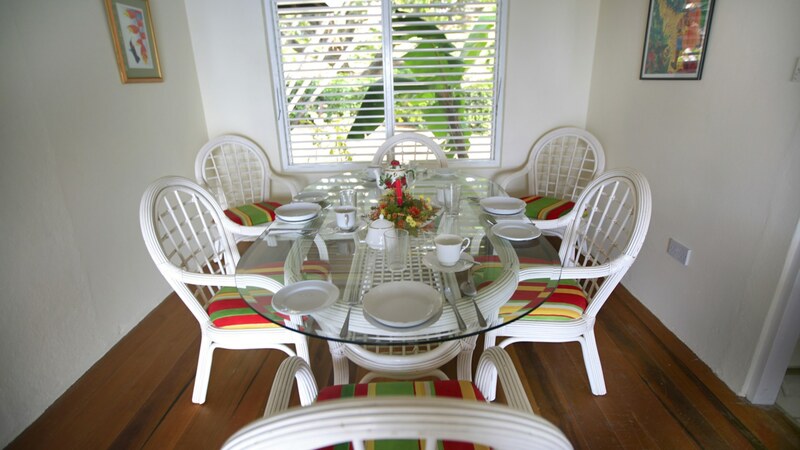 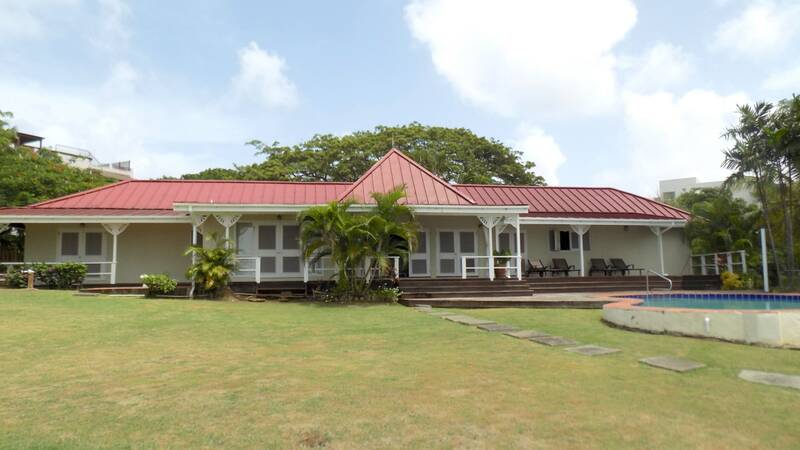 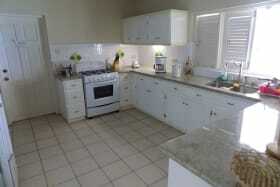 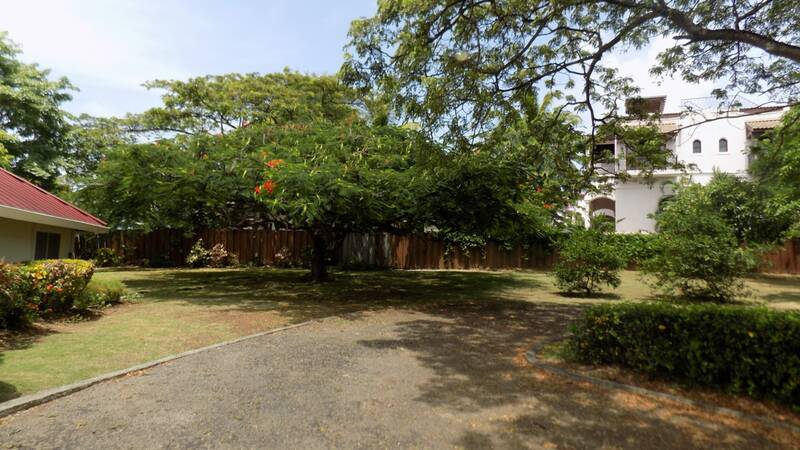 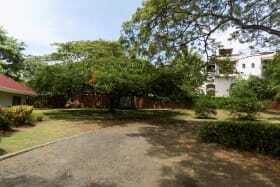 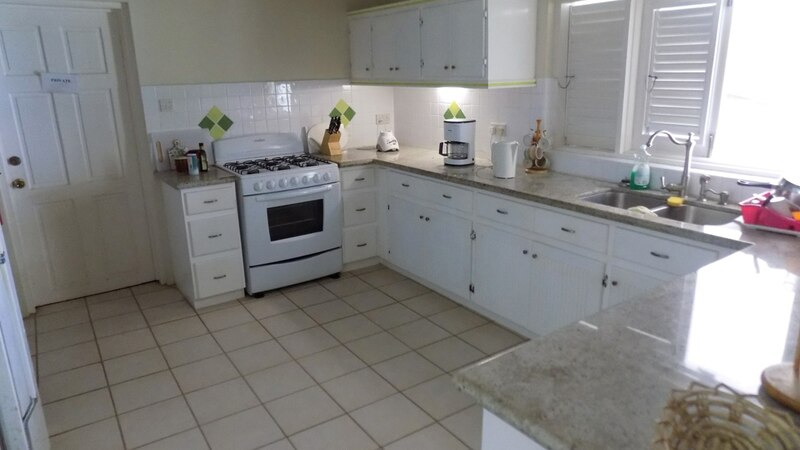 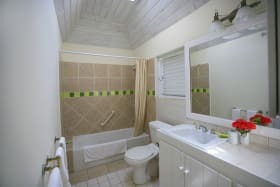 The villa has a spacious sitting room, separate dining room and a well-equipped kitchen and laundry room. 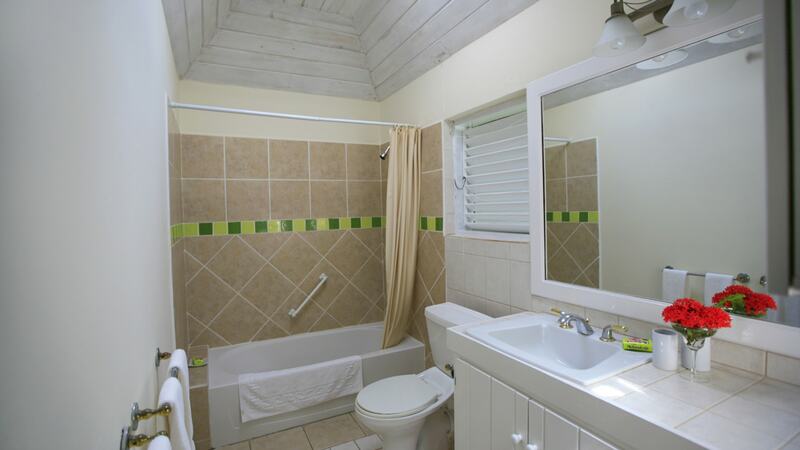 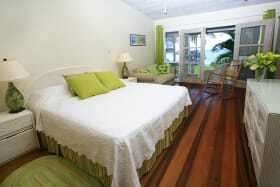 There are two air conditioned double bedrooms with en-suite shower rooms. 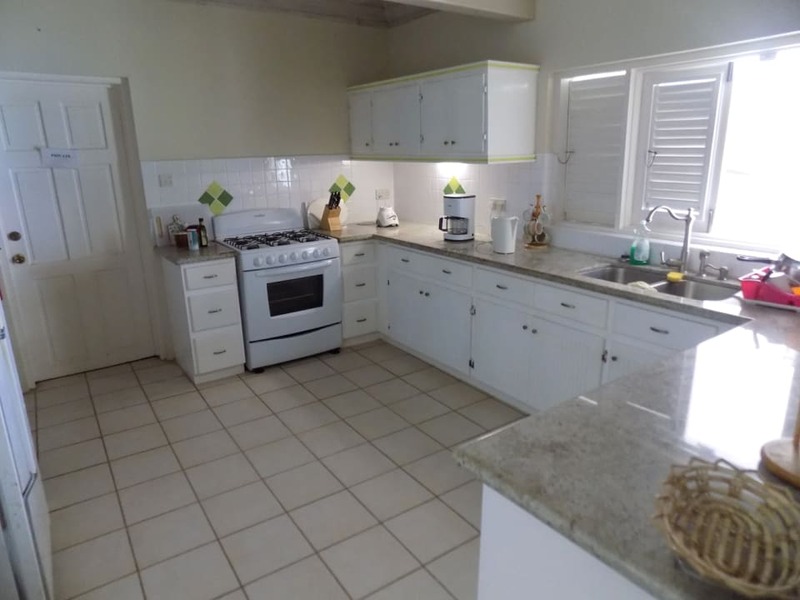 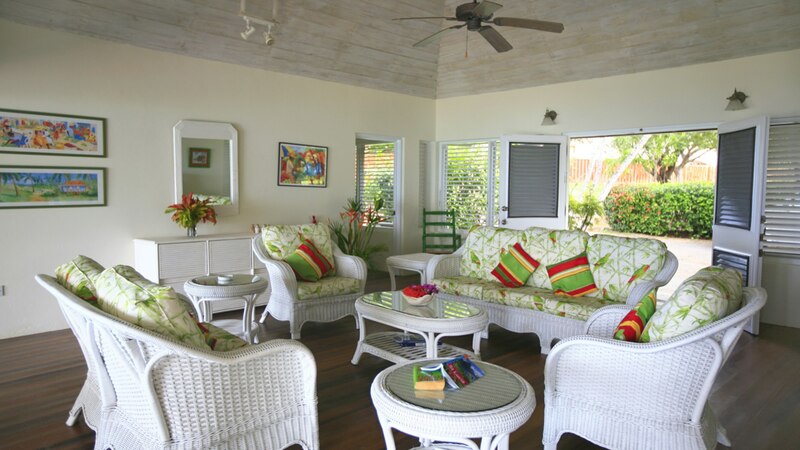 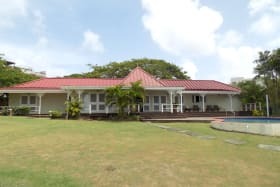 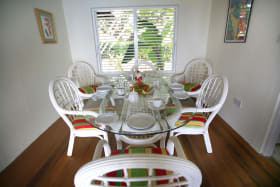 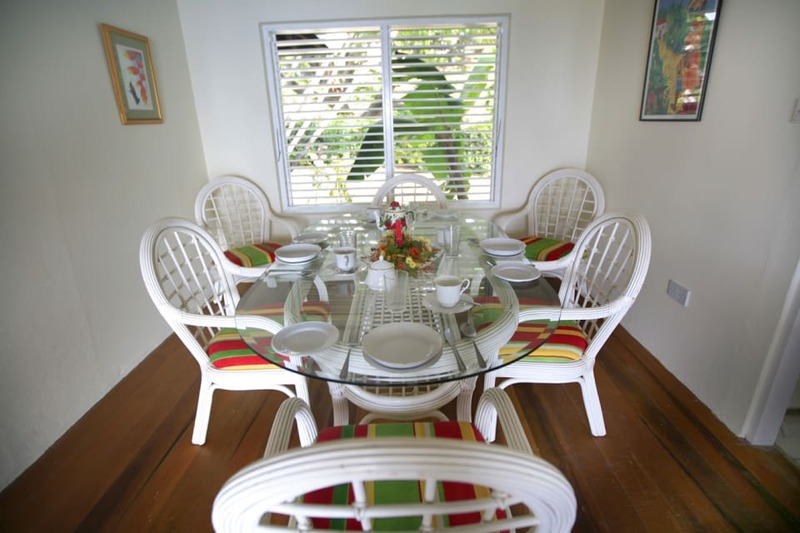 All the main rooms open out onto a patio, which runs the entire length of the house and is tastefully furnished in wicker furniture with colorful tropical fabrics. 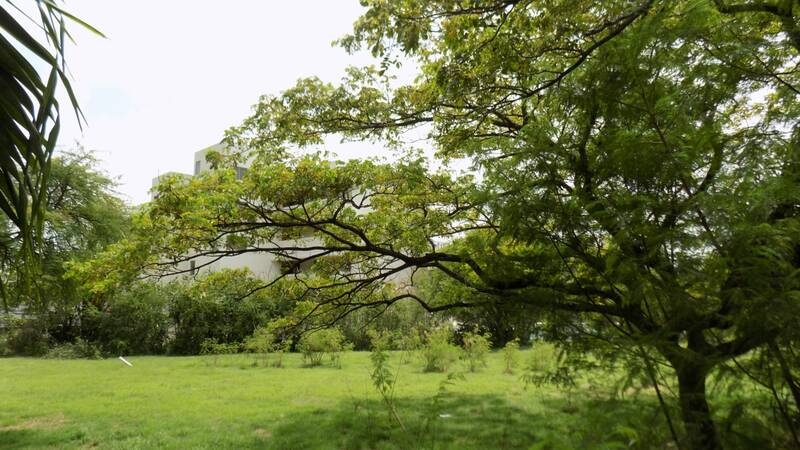 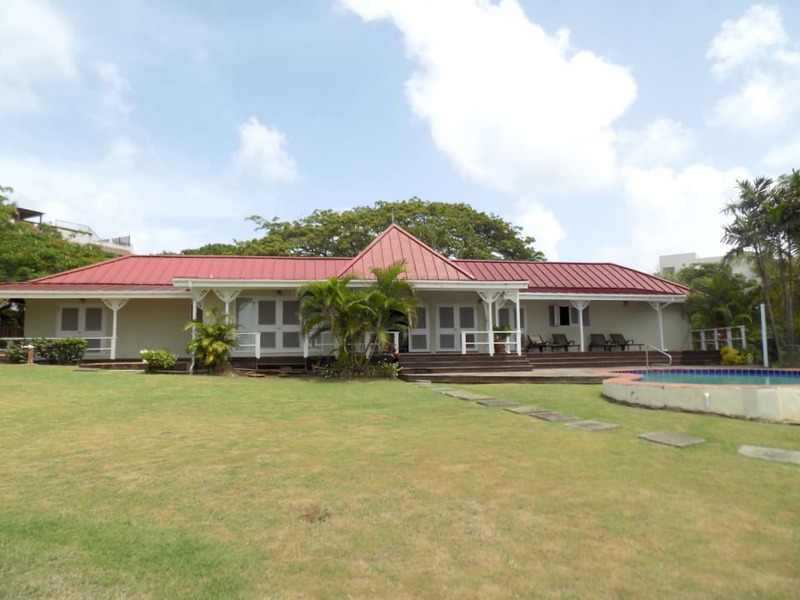 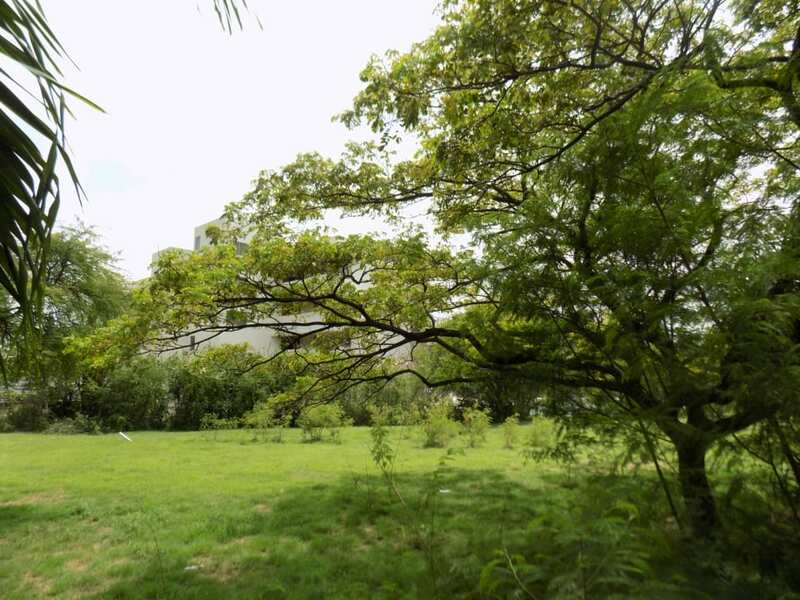 The property consists of 2,280 sq ft of interior rooms/spaces, and 1,068 sq ft in the several covered decks and balconies on the seaward side of the house. A kidney shaped pool is situated off the patio and there is a gazebo perched on the cliff edge – perfectly positioned for enjoying sunsets or alfresco dining.